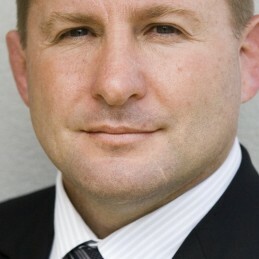 Dan Crowley is a former Rugby great, playing for Australia in three consecutive World Cups, winning in 1991 and 1999. Dan made his Test debut in Brisbane in 1989 against the British Lions. As part of a lineup that included Tom Lawton, Nick Farr-Jones, Steve Cutler and David Campese, the decisive 30-12 victory was a memorable start. The last of 39 Test appearances was in the 1999 victorious World Cup final against France. After retiring from the game, Dan began a media career with Channel Seven as part of their commentary team with his work behind the microphone instantly being regarded as insightful, analytical and witty. During his time as a Rugby star, Dan moonlighted as an undercover police officer, uncovering drug operations on the Gold Coast. Dan’s best-selling book, ‘Undercover Prop’, was released in 2005 and followed his time as both a rugby international and undercover cop. In 1990, having previously been the youngest ever police sergeant, Dan founded his own private investigation company, Verifact Security and Investigations. Verifact covers investigations, traffic control, security and training and is now Australia’s largest private investigations agency, employing 1,100 people. Having succeeded as an international sportsman, policeman and entrepreneur, Dan brings a unique set of experiences to guest speaking. Dan has a terrific understanding of stakeholder communications, keeping a group motivated, and overcoming the challenges associated with business growth. Dan Crowley’s wit and charm has made him a popular Master of Ceremonies and guest speaker.